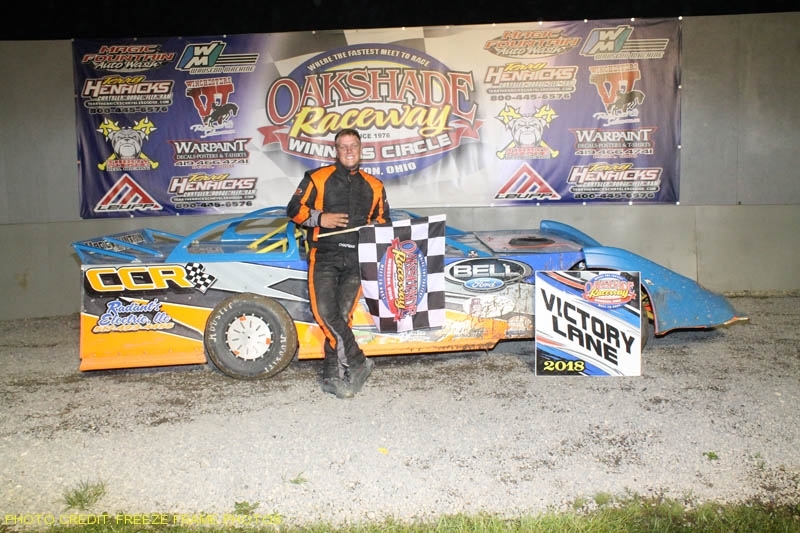 Saturday was a busy night at Oakshade Raceway with the Night of Wheels, Memorial Night and the second leg of the Oakshade/Attica Late Model Challenge Series which was won by Sylvania, Ohio’s Casey Noonan. Dozens of donated bikes, trikes and other wheeled rideable toys were given away many elated kids during the Night of Wheels intermission just before the Memorial Night feature events. Each lap of all feature races were in memory of lost loved ones and also meant sponsorship money that would be awarded to the leader of each of those laps. 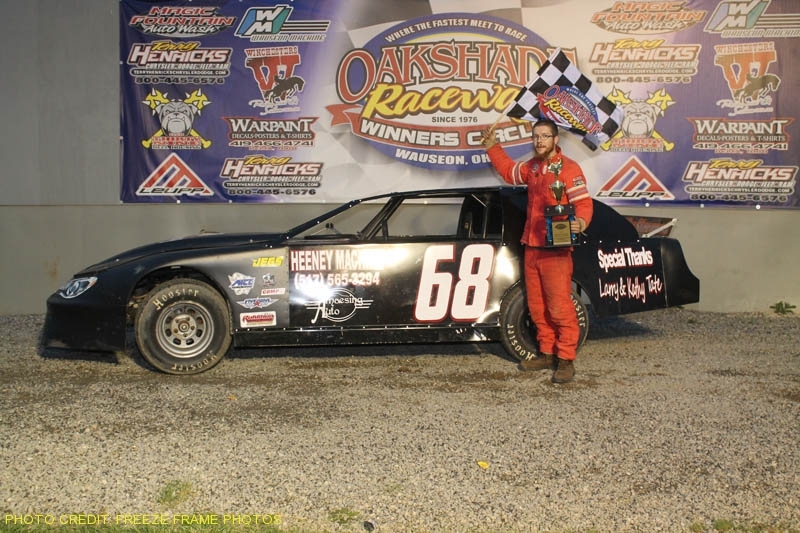 The first Memorial Night feature of the evening was the Oakshade/Attica Late Model Challenge Series main event. 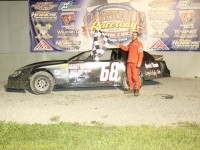 Casey Noonan took the lead at the drop of the green flag after starting on the outside of the front row. 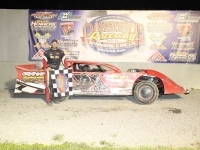 Ryan Missler, who won the night before at Attica Raceway Park, battled three-wide for the second position with Dan Wallace and defending track champion Devin Shiels. Missler was eventually able to take second, but Noonan had checked out to a big lead. On the final lap, Noonan got held up in some lapped traffic that allowed Missler to close in, but it wasn’t enough to catch the leader. Noonan led every lap and collected all the lap sponsorships, including a $50 bonus for the win in memory of Dan & Valerie Jo Miller. 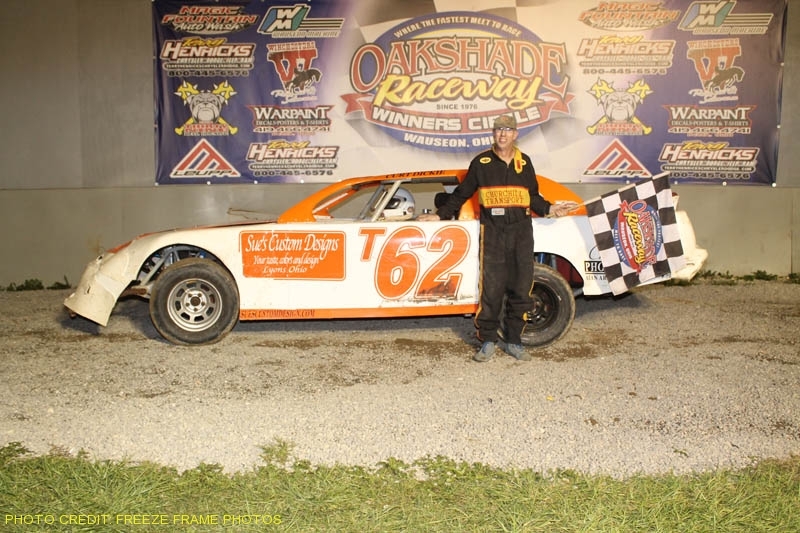 It was his first Oakshade feature win of the season. Missler settled for a second place finish with Shiels third and Wallace fourth. 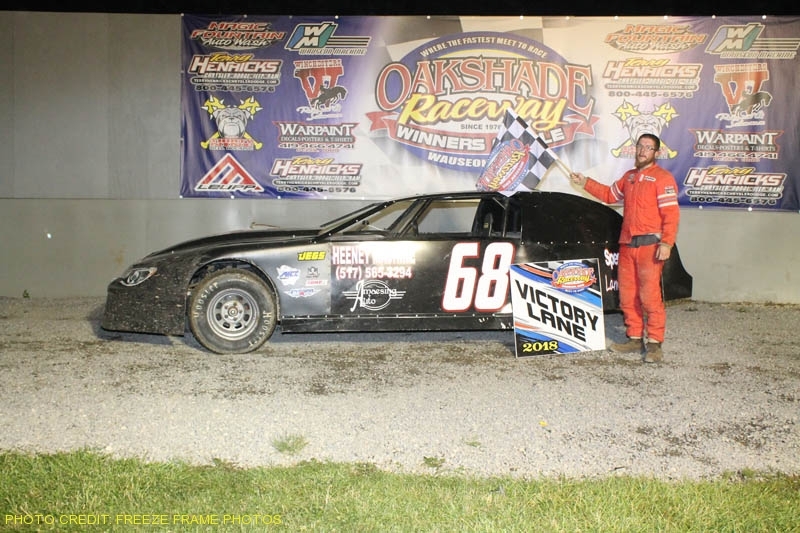 Steve Kester, who entered the night atop the Oakshade/Attica Late Model Challenge Series points, finished fifth. 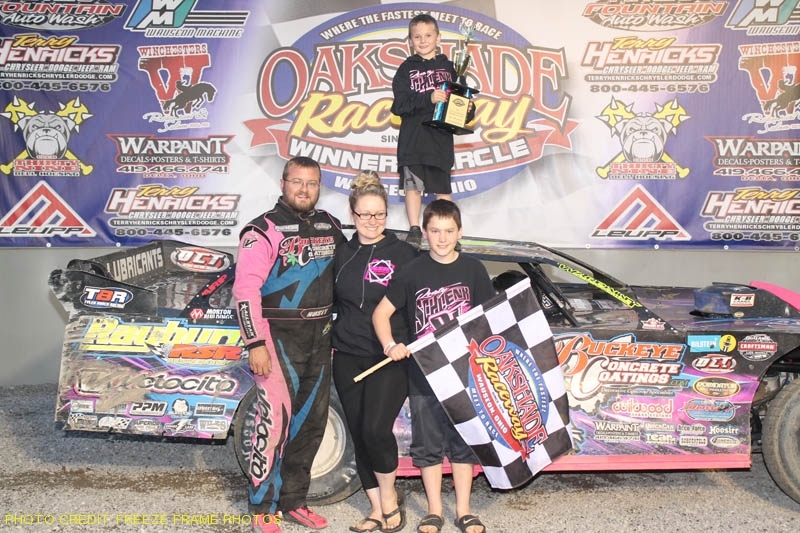 Mathew Chapman was going for his fourth consecutive AmerGas UMP Sportsman feature win and appear poised to do just that after getting by Tim Fisher for the lead as they completed the first lap of the 20-lap main event. Chris Keller had worked his way into second before retiring to the infield on lap five. That turned second over to Rusty Smith. The Sylvania, Ohio driver battled with Chapman for the lead and finally got by on lap 17. 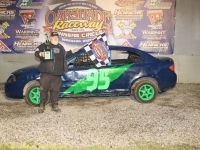 Smith was able to fend off Chapman and Mike Jessen as the three cars battled for the lead all the way to the checkered flag. Chapman just edged out Jessen for second with Jerry Signor and Josh Robertson the rest of the top five finishers. 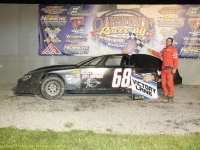 Chris Henry drove his way to his third consecutive Hot Rod Welding & Engineering Bomber A Main win. 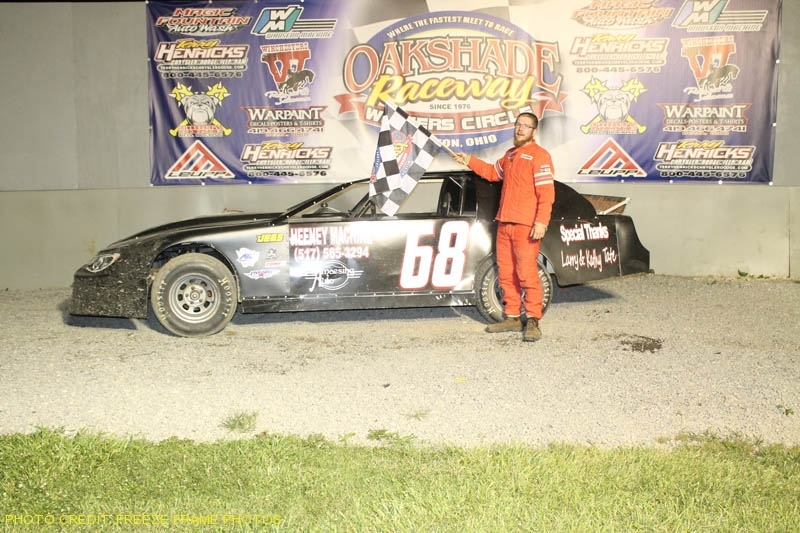 Henry, out of Jackson, Michigan, started outside the second row and quickly got the 68 car out front. Rich Riffe followed Henry to a second place finish followed by Adam Noonan and Craig Dippman. 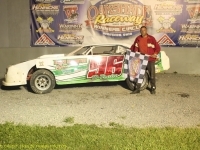 Jeff Foks Jr. started ninth and still remains the Hot Rod Welding & Engineering Bomber points leader after posting a fifth place finish. 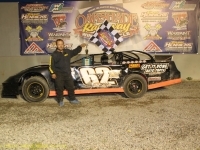 Toledo, Ohio’s Cameron Tusing started on the pole of the Memorial Night Compact feature event and picked up his first feature win of the season. Joe Elliot finished second to Tusing in their heat event earlier in the evening and once again had to settle for second in the feature. 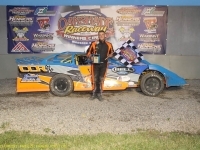 Eric Carr was a heat race winner earlier in the night and ended up finishing third in the main event which has him on top of the compact point standings. 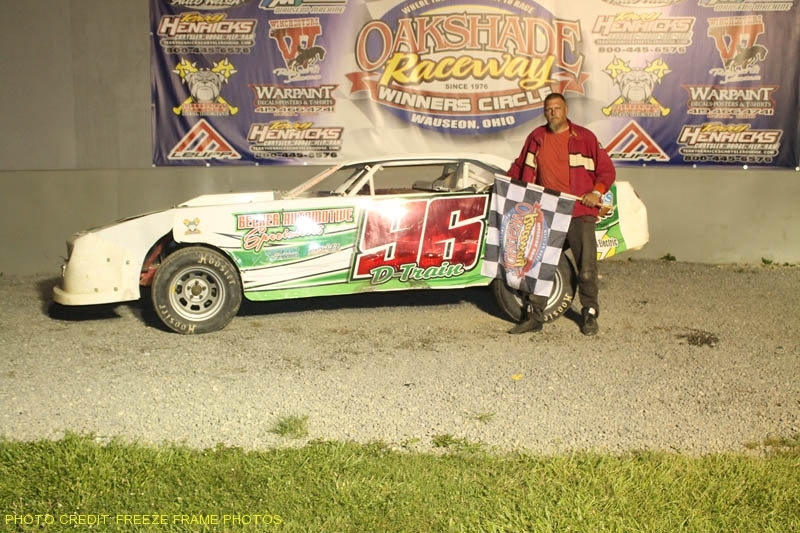 Ken Watts and Jason Deshler were the rest of the top five finishers. 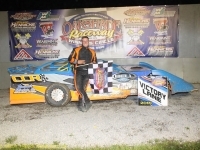 Oakshade Raceway capped off a great night of racing action with the Hot Rod Welding & Engineering Bomber B Main. Scott Hammer took the lead at the start from the pole. Donovan Paskan from Clayton, Michigan, drove by and took the lead by the completion of lap three. 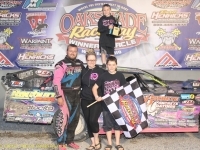 Hammer was able to maintain contact with Paskan and the two drivers battled all the way to the checkerd flag with Paskan coming out on top for his first feature win of the season. Joe Nickloy took third followed by Cody Stetten and Ian Palmer. 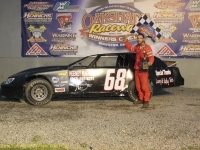 The Vintage American Race Cars will join a full racing program of UMP Late Models, AmeriGas UMP Sportsman, Hot Rod Welding & Engineering Bombers and Compacts on Saturday, July 7 at Oakshade Raceway. Gates open at 4pm, hot laps at 6pm and racing at 7pm. 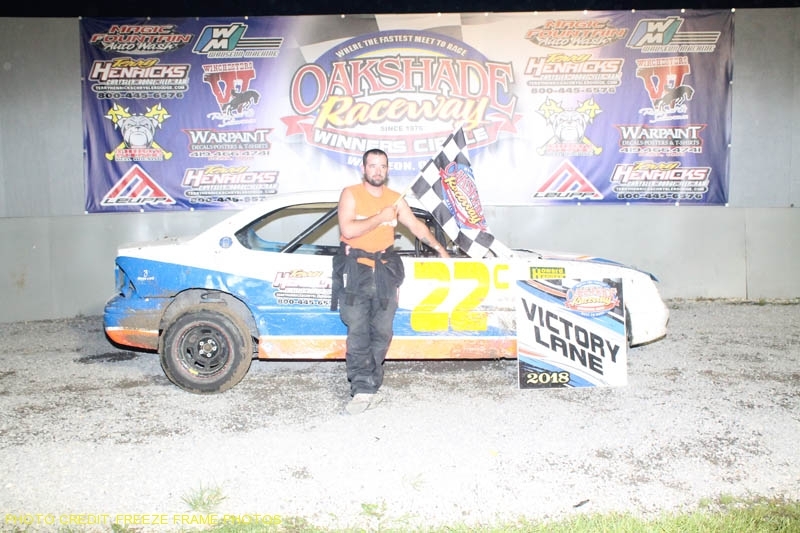 A huge crowd braved the hot and humid weather Saturday evening at Oakshade Raceway to witness a first time Barney Oldfield Race winner. 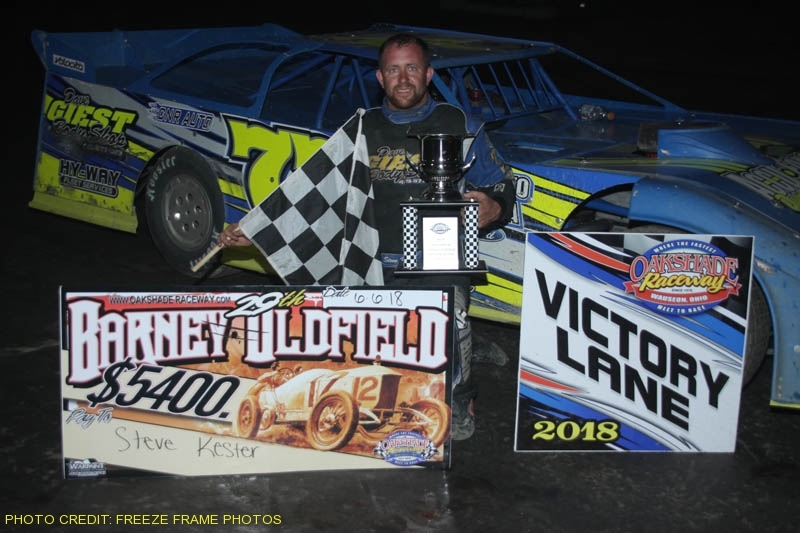 Holland, Ohio’s Steve Kester continued his success in 2018 at Oakshade with the Sunoco American Late Model Series (ALMS) 29th Annual Barney Oldfield Race win, and his third feature win of the season at the 3/8’s mile banked dirt oval. 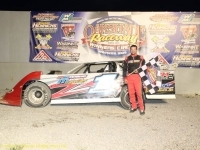 At the start of the 40-lap ALMS main event, Dan Wallace jumped out in front of the field after starting on the pole. Jon Henry was running second when he suddenly slowed on lap 18 which brought out the caution flag. This moved Dona Marcoullier up to second for the restart behind Wallace. A few laps later, Brad Wade spun in turn two spoiling a nice top five run for the Dundee, Michigan, driver. That brought out the yellow once more and now it was Kester restarting in second behind Wallace. One lap after the restart, Kester took the lead from Wallace. A big crash on lap 29 brought out the red flag so that track crews could clear the cars of Ken Hahn, Steve Miller, Brad Wade and Matt Lindsey who all piled into turn one. A few laps after returning to green flag racing, Marcoullier took over second from Wallace who later slowed and retired to the pits with only three laps remaining. 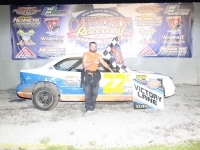 Marcoullier was unable to mount a challenge for the lead and settled for a second place finish following Kester who led the final 14 laps to earn the $5,400 check for the win. 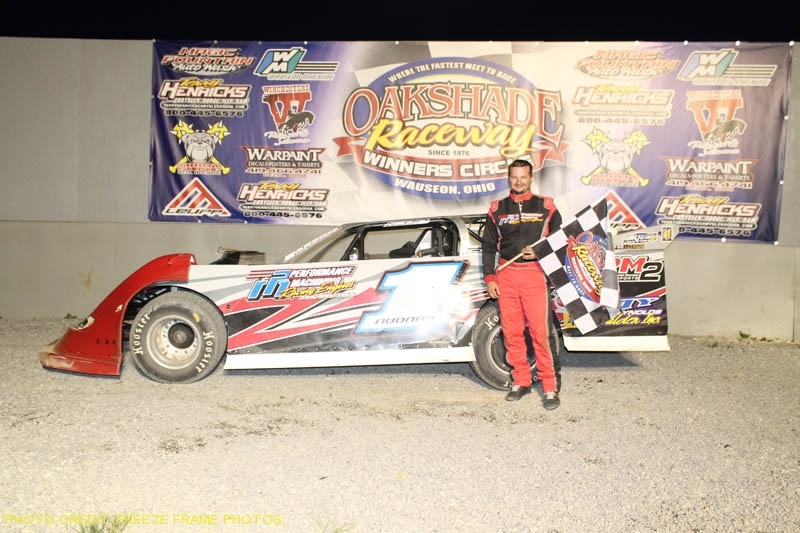 Devin Shiels had a great run to finish third after starting 14th and ALMS point leader Casey Noonan took fourth after racing his way into the feature through the last chance race and starting 16th. Ryan Missler gained six positions to finish fifth. 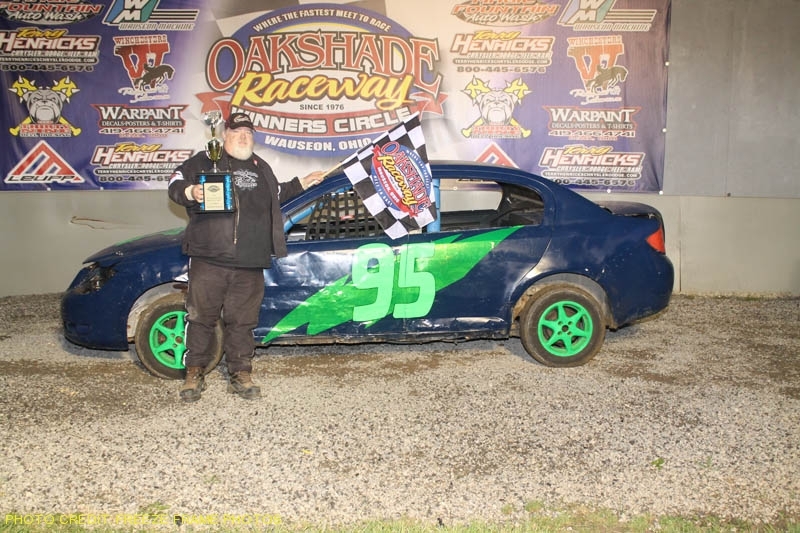 Mathew Chapman has been on a tear the past few weeks in the AmeriGas UMP Sportsman class and notched his third consecutive feature win Saturday night. Brandon Gregory started on the poll and led the first few laps, but Chapman took command on lap four and pulled away. 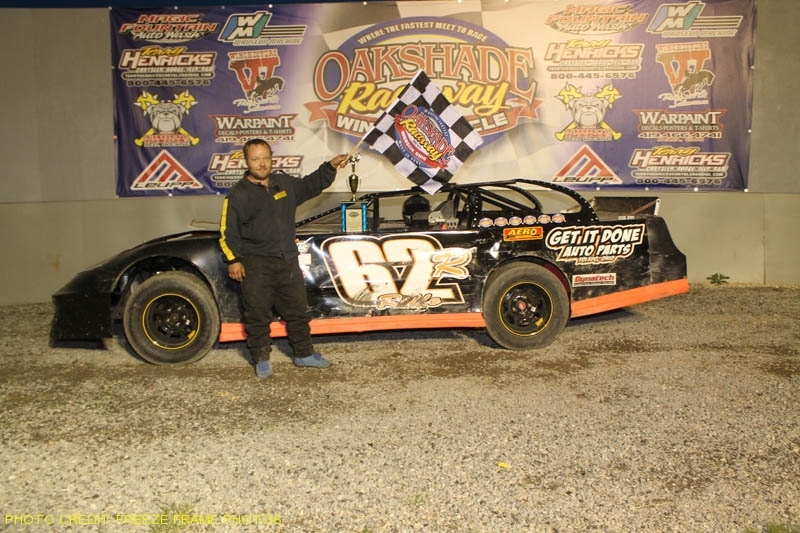 Gregory, Tim Fisher and Mike Jessen had a good battle for second behind the Tecumseh, Michigan, driver with Gregory coming out on top for second. Fisher, who has one feature win this season, settled for third with Jessen fourth. Rusty Smith was fifth. The Hot Rod Welding & Engineering Bomber A Main featured a lot of lead changes and a three-wide race for the lead at the finish. Chuck Stuckey took the lead from the pole and fended off contenders early. 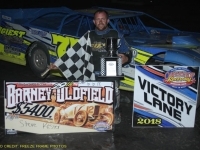 Last week’s B Main winner, Rich Riffe, finally took the lead away on lap nine, but last week’s A Main winner, Chris Henry, got by him on a lap 11 restart. Bomber point leader Jeff Foks Jr. joined the battle with Henry and Riffe at the finish, but in the end, Henry was able to come out ahead. 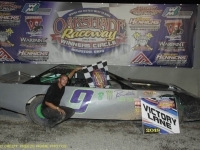 It was the second consecutive A Main win for the driver from Jackson, Michigan. Riffe held on for second with Foks coming home third. Tim Hancock and Chuck Stuckey were the rest of the top five finishers. 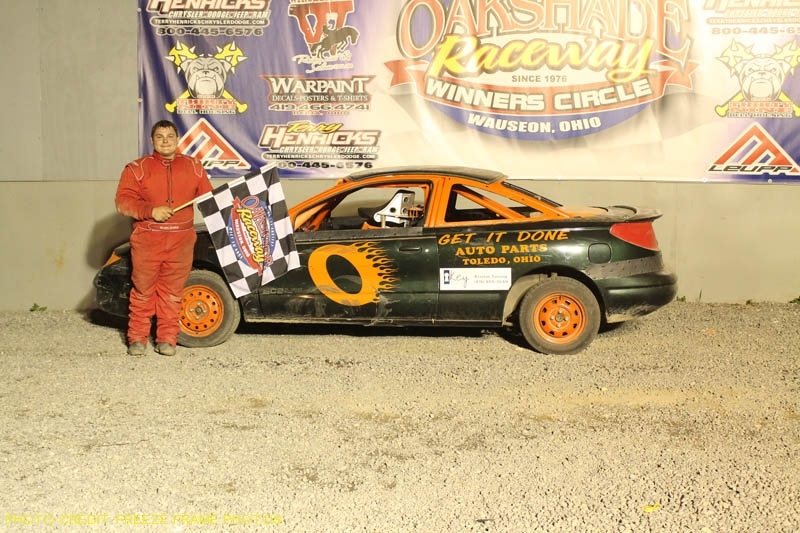 Eric Carr took the early lead of the Compact feature event after a little contact with Cameron Tusing. 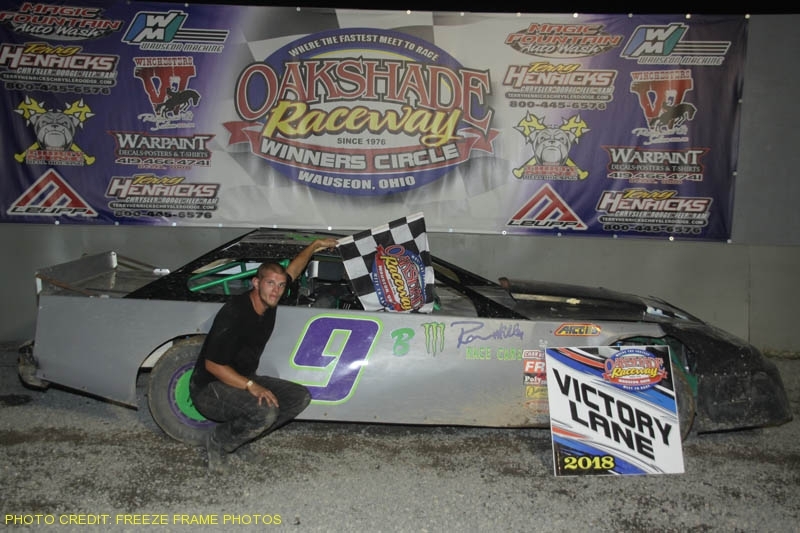 Nathan Goodman moved up from his sixth starting position to challenge the Wauseon, Ohio, driver for the lead, but Carr was able to hang on and pick up his first feature win of the year. Goodman settled for second followed by Josh Proffitt and last week’s feature winner, Joe Elliott. Jason Deshler moved up eight spots to finish fifth. Jake Gamber led at the start of the Hot Rod Welding & Engineering Bomber B Main, but fell off the pace early. Shane Estes then took command, but Toledo, Ohio’s Dylan Burt got by on lap four after starting at the back of the field. 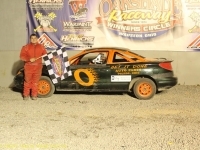 Burt went on to pick up the checkered flag over Taylor Dippman. 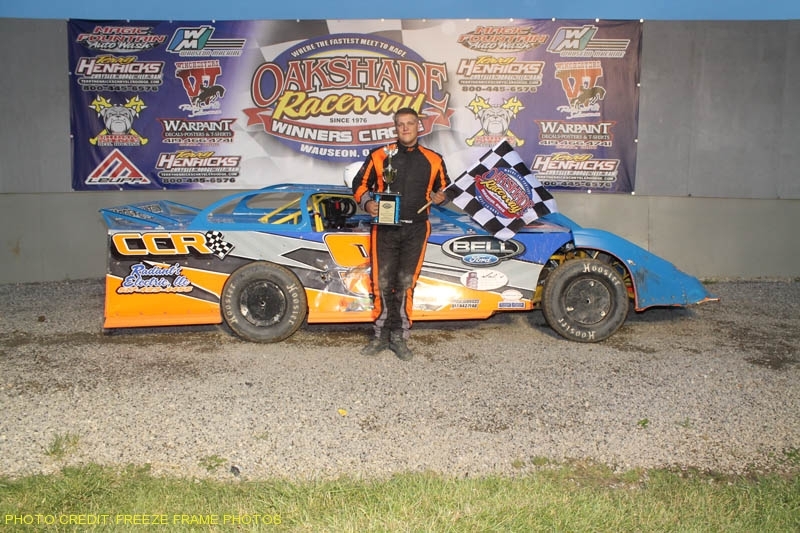 Estes slipped back to finish third followed by Dave McMannamy and Dave “Gumby” Golembiewski Sr.
Oakshade Raceway returns to action this coming Saturday, June 23 with a full racing program of UMP Late Models, AmeriGas UMP Sportsman, Hot Rod Welding & Engineering Bombers and Compact. Gates open at 4pm, hot laps starts at 6pm and racing begins at 7pm.